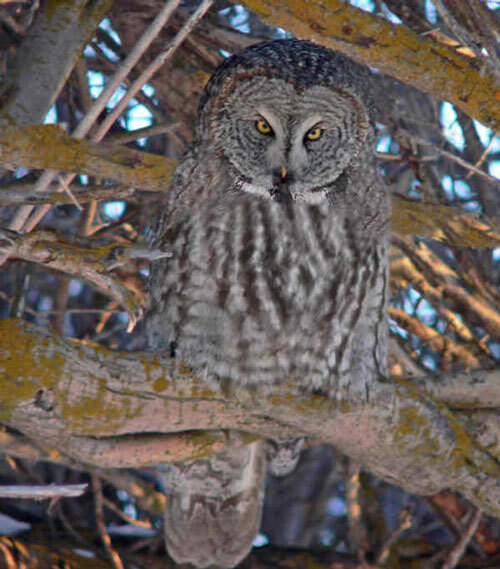 Terry Sadler and Sylvia Gray have sent in more Great Gray Owl photos from Idaho. 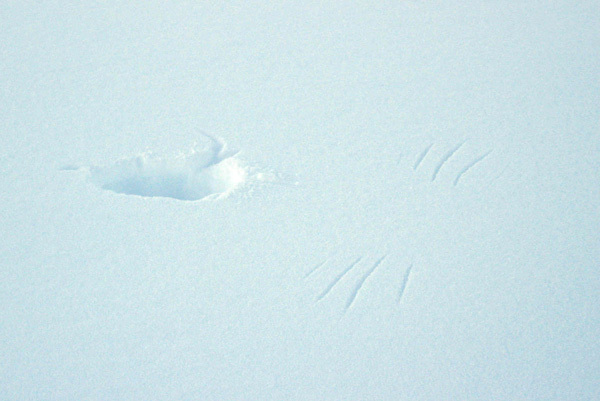 The first one is a picture of impressions in the snow made by a Great Gray Owl plunging into the snow for prey. 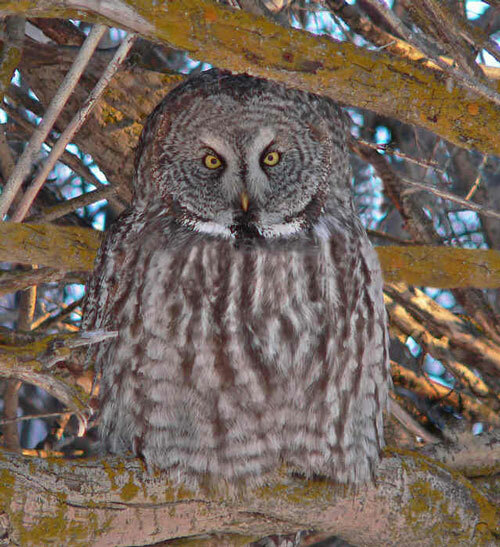 The last two are close-ups of a GGO in a tree.